With a simple and fast online business Allmatic reacts to the needs of its customers for greater agility in the procurement of high-quality clamping devices – since 2017 with the establishment of AllLite. In the online shop customers worldwide can configure the first product family CentroLite online, order directly and receive it within a few days. Because CentroLite is the first centric clamp that has all the essential functions, but does not dispense with superfluous, costly features. The modular centric clamps are produced on demand with a high degree of automation and the sales channel is exclusively online. 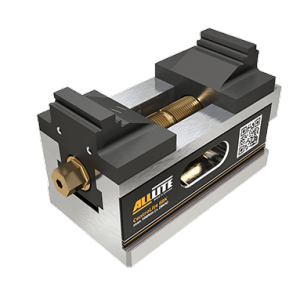 AllLite achieves this performance through optimized designs and manufacturing processes that meets industry standards 4.0. This is how AllLite is focusing on demand, especially from single and small series production as well as from companies with market-leading automation solutions. Not every machining company requires complex clamping systems with as many different applications as possible. On the other hand, numerous companies require machine vices with only a few, but precisely defined, performance features. Exactly these selected functions deliver CentroLite clamping systems from AllLite point-accurate and cost-effective. Without compromising on the performance – the gripping solution achieves a clamping force of 28 kN, which is an excellent value, without pre-embossing. CentroLite is thus a flexible, powerful clamping system, which is easily and quickly configured, ordered and delivered in the AllLite online shop and thus offers an unbeatable price / performance ratio. The CentroLite product family has been developed in close co-operation with customers and so they can also report on their experience in the field of practice. Stefan Langguth, for example, owner of the device & machine building in Veilsdorf, was particularly impressed by the ratio of the torque to the spindle (100 Nm) to the clamping force of 30 kN – a perfect grip system! This in turn ensures an extremely safe voltage with the highest cutting performance and very good vibration behavior and thus provides a high surface quality. “In addition, the stability and repeatability as well as the large span of this small centering clamp have impressed us”, says Langguth. With regard to accessibility, an increase in the jaws, as well as the use of a console, appeared to the device and machine-tooler to be advantageous. 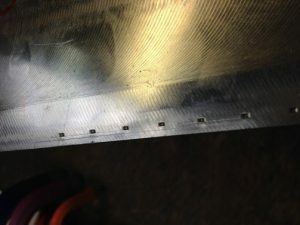 Both points were implemented by Allmatic-Jakob Spannsysteme GmbH in serial production. “As a customer, we even had an influence on the final development of the CentroLite product family, which means real customer orientation for us,” enthuses Langguth. As the owner of a young, growing company, Langguth is also thrilled by the digital distribution channel, which significantly reduces procurement efforts and costs. This is how CentroLite covers the 8 most common zero point clamping systems.